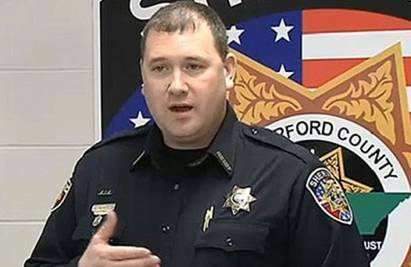 Sign and demand that Rutherford County Sheriff Robert Arnold resign immediately! He has hired convicted criminals as deputies; protected deputies who have committed crimes both on and off duty; been the target of a multi state FBI/TBI/State Comptroller's investigation into criminal activities of his own; cost county taxpayers nearly $1 million in lawsuit settlements and has well over $20 million in additional lawsuits still pending; and most recently, is responsible for a county jail which tragically had two inmate suicides in an 8 day period. Since his election in 2010, he has cheated and embarrassed the citizens of Rutherford County and has shamed a once proud Sheriff's Department. Sheriff Arnold is no longer fit to be the chief law enforcement officer of Rutherford County.